In early December, the Centers for Medicare and Medicaid Services (CMS) released the quarterly National Correct Coding Initiative (NCCI) edits tables that apply to Medicare Part B and some state Medicaid agency claims for the period of January 1 through March 31, 2017. NCCI edits look at combinations of procedure codes submitted on claims, and denies payment for codes that should not be billed together on the same day. Some codes listed in the edits can be billed together in certain situations, but only if an appropriate modifier (e.g. -59) is appended to the procedure code that would ordinarily be denied by the edit. However, AHCA members noticed that there appeared to be errors in the edits that will apply to the new physical therapy (PT) and occupational therapy (OT) evaluation code combinations 97162/97165, 97163/97165, and 97165/97164. In the posted NCCI edits tables, these PT and OT code combinations could never be billed on the same day, even with an appropriate modifier. This appeared to be inconsistent with CMS policy that has always permitted PT and OT evaluations on the same day if medically necessary, and AHCA submitted a request to CMS to review the published NCCI edits tables, and provide corrections as appropriate. In a follow-up communication with CMS, AHCA also cited concerns that the incorrect edits could potentially have a negative downstream impact on the outpatient therapy claims-based functional reporting requirement if not corrected by January 1, 2017. CMS responded favorably regarding the concerns raised by AHCA in two letters dated December 13 and December 28, 2016. Specifically, CMS has issued a technical direction letter (TDL) to the Medicare Administrative Contractors (MACs) to utilize a workaround from January 1 through March 31, 2017 to bypass the incorrect procedure-to-procedure (PTP) edits for the Current Procedural Terminology (CPT) PT and OT evaluation code combinations 97162/97165, 97163/97165, and 97165/97164, until they can be correctly updated in the April 1, 2017 version of the NCCI edits tables. CMS also provided instructions to the state Medicaid agencies that apply NCCI edits to outpatient therapy CPT codes. 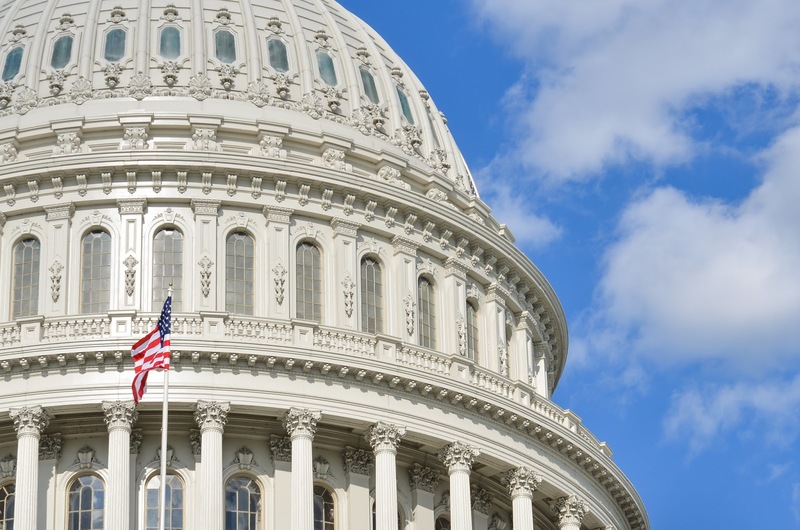 After reviewing the letters, AHCA believes that these actions by CMS should adequately address the concerns we raised, and providers should use the appropriate new PT and OT evaluation codes as defined without fear of improper NCCI edit denials. Outpatient therapy providers should not receive NCCI edit denials for these three code combinations beginning January 1, as long as the appropriate modifier (e.g. 59) is appended to the claim. Please inform AHCA’s Associate Vice President of Therapy Advocacy Dan Ciolek at dciolek@ahca.org immediately if you receive any such denials, and we will inform CMS so they may resolve the issue ASAP. Track Your NCAL Quality Initiative Progress in LTC Trend Tracker! Make your New Year's resolution to register for LTC Trend Tracker (SM) and track your progress on the NCAL Quality Initiative! With the addition of new measures in LTC Trend Tracker (SM) for assisted living, NCAL members can track all four Quality Initiative goals (safely reducing hospital readmissions, improving customer satisfaction, improving staff stability, and safely reducing off-label use of antipsychotics). New features include the ability to set goals for each NCAL measure, and customize both the dashboard and AL quality measure report. With these new enhancements, LTC Trend Tracker (SM) is a great tool to use for your AHCA/NCAL Quality Award Program applications. Sign-up for LTC Trend Tracker (SM) today! The CDC’s National Center for Health Statistics has launched the third wave of the National Study of Long-Term Care Providers (NSLTCP), a biennial national study of the major sectors of paid, regulated providers of long-term care services. This data collection effort includes a representative sample of assisted living and similar residential care communities across the country. Your assisted living or residential care community may be one of them. Data collection started in August 2016 and will continue through February 2017. Residential care operators, managers, administrators or directors are asked to provide information about their residential care community through a mail or web questionnaire that will take on average 30 minutes to complete. Since the third week of October, smaller residential care communities who did not respond by web or mail, have been given the option to complete the survey over the telephone. At the end of November, larger residential care communities who had not responded via mail or web by November 23 have also been given that option. NSLTCP collects information about the characteristics of residential care providers, the services they offer, and their staffing; and the demographics, functional status and health of the residents they serve. This information will help policymakers, health care planners, and providers better understand, plan for, and serve the future long-term care needs of the older population and disabled adults. While results from this survey, including state estimates, will be made publicly available, all data will be kept confidential and will be aggregated, so that the names of the residential care communities, staff, residents and respondents will not be identifiable. Participation is voluntary. The power of this survey depends on participation. If your residential care community is contacted, make your voice heard by participating in the study. NCHS has contracted with RTI International, an independent, nonprofit research organization, to collect 2016 NSLTCP data. If you have questions about completing the questionnaire, or received a questionnaire packet in the mail but no longer have it or cannot find it, please contact the NSLTCP Help Desk today at 1-866-245-8078. For more information please visit the NSLTCP website. Last week CMS issued new guidance with information on how to adhere to the individualized nature of home and community-based services (HCBS) for individuals with dementia or other conditions in which unsafe wandering or exit-seeking behavior is exhibited. CMS emphasized that person-centered planning, staff training and care delivery are core components of provider operations to meet HCBS requirements for these individuals. In particular, CMS noted that controlled egress can comply with the HCBS settings rule in certain circumstances; the setting should assess the individual and document his or her choice and need for safety measures in his or her person-centered care plan. Similarly, while individual rooms in HCBS settings should generally have a lockable door, doors that are not lockable can be used when they are part of the resident’s person-centered plan and after less intrusive methods have been tried and did not work, as provided in the rule. OIG has released Revisions to the Safe Harbors Under the Anti-Kickback Statute and Civil Monetary Penalty Rules Regarding Beneficiary Inducements, which adds new safe harbors to the anti-kickback statute to protect certain payment practices and business arrangements from sanctions. The rule updates the existing safe harbor regulations and enhances flexibility for providers and others to engage in health care business arrangements to improve efficiency and access to quality care while protecting programs and patients from fraud and abuse, according to the agency. 3) protection for discounts by manufacturers on drugs furnished to beneficiaries under the Medicare coverage Gap program. The rule also codifies revisions to the CMP definition of remuneration. Join us for this one-of-a-kind networking and educational experience for independent owners in a one-of-kind location. On March 8-10, 2017 there will be three days of information and special networking activities to choose from in Florida. All education sessions are held at the Hilton Orlando Lake Buena Vista at Walt Disney World. You’ll be just minutes from the theme parks and Disney fun. Bring the family and make it a vacation! · Explore initiatives for home and community-based services. · Learn best practices for staff retention and engagement. · Understand and improve patient satisfaction. · Maximize opportunities to get paid more fairly, balance risks and rewards, and stay financially strong. Opening General Session on Wednesday, March 8th: How to Grow Your Business with People Not Like You with Kelly McDonald, Multicultural Marketing and Business Trends Expert. with Shannon Huffman Polson, U.S. Army Apache Helicopter Captain & Pilot. Hear from expert panels and engage with other owners during a Town Hall style discussion. The agenda has more information on this conference. US District Judge James Boasberg has ordered the US Department of Health and Human Services to clear the Medicare appeals backlog by 2021 and to file progress reports every 90 days until completion. HHS is required to reduce the backlog by a certain amount each year leading up to 2021. 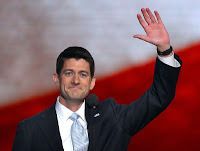 See for more details http://www.reuters.com/article/health-medicare-idUSL1N1E129A. 5) making or using a false record or statement material to a false or fraudulent claim. The Senate voted Friday night to pass a stopgap measure to fund the government into April, avoiding a partial government shutdown and effectively concluding legislative work for the remainder of the year. Contentious fights over water projects and health provisions for miners threatened to derail the bipartisan effort, but enough Democrats eventually joined with Republicans to pass the measure 63-36. 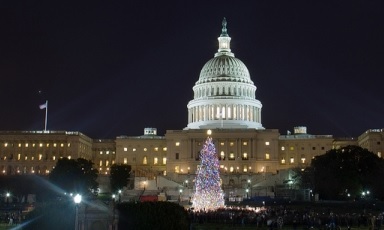 The House passed their version of the continuing resolution 326-96 on Thursday, allowing both chambers to get out of Washington a week earlier than scheduled and prepare for the next session that will begin in 2017 under the new incoming administration. Both chambers are set to return to legislative business the first week of January 2017. On November 15, 2016, the Centers for Medicare and Medicaid Services (CMS) published the CY 2017 Medicare Physician Fee Schedule (PFS) Final Rule (CMS-1654-F) in the Federal Register. 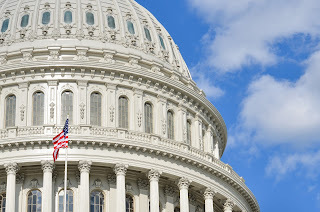 This final rule reflects the requirements of the Medicare Access and CHIP Reauthorization Act of 2015 (MACRA) which repealed the Sustainable Growth Rate formula. Further, the MACRA allowed for a one-half percent (0.5%) update from July 1, 2015, to December 31, 2015, a one-half percent (0.5%) update for CY 2016, and allows a one-half percent (0.5%) update for CY 2017. 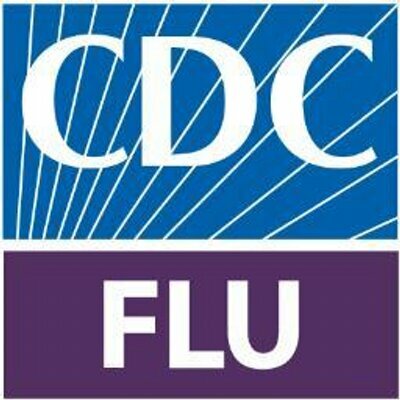 The MACRA also extends the physician work geographic practice cost index (GPCI) floor of 1.0, and the therapy cap exceptions process, through December 2017 (The CY 2017 therapy cap amount is increased to $1,980 for outpatient occupational therapy and $1,980 for physical therapy and speech-language pathology services combined). Additionally, as required by the ACA, the 1.5 work GPCI floor for Alaska and the 1.0 practice expense GPCI floor for frontier states are permanent, and therefore, applicable in CY 2017. You may note that after all required adjustments, the conversion factor has increased from $35.8043 in CY 2016 to $35.8887 for CY 2017. In a positive note for SNF, Table 52 in the Final Rule titled CY 2017 PFS ESTIMATED IMPACT ON TOTAL ALLOWED CHARGES BY SPECIALTY indicates that, due to relative changes in the weights of various PFS procedure codes, the value of Part B physical and occupational therapy code payments in aggregate should increase 1% in 2017. The final rule continues the multiple procedure payment reduction (MPPR) policy for “always therapy” services. The MPPR policy required, effective April 1, 2013, a 50 percent reduction to be applied to the practice expense component of payment for the second and subsequent “always therapy” service(s) that are furnished to a single patient by a single provider on one date of service (including services furnished in different sessions or in different therapy disciplines). The MPPR worksheet in the Excel file discussed below lists those “always therapy” services subject to the MPPR policy and the reduced fee payment amounts. According to the Centers for Medicare and Medicaid Services (CMS), the finalized Medicare Outpatient Observation Notice (MOON) and form instructions are now available. They can be found here. The MOON is a standardized notice to inform beneficiaries (including Medicare health plan enrollees) that they are an outpatient receiving observation services and are not an inpatient of the hospital or critical access hospital (CAH). Outpatient status affects a patient’s ability to receive Medicare coverage for post-acute care in a skilled nursing center. The MOON is mandated by the Notice of Observation Treatment and Implication for Care Eligibility Act (NOTICE Act) enacted on August 6, 2015. AHCA/NCAL supports the NOTICE Act law. The NOTICE Act requires all hospitals and CAHs to provide written and oral notification under specified guidelines. Hospitals and CAHs must begin using the MOON no later than March 8, 2017. Manual instructions will be made available in the coming weeks. A fact sheet on the MOON is available here. On December 8, the Centers of Medicare and Medicaid Services (CMS) released a MLN Matters Article MM 9698 titled Update to Editing of Therapy Services to Reflect Coding Changes. If you recall, as part of the calendar year (CY) 2017 Medicare Physician Fees Schedule (MPFS) final rule, CMS is retiring four physical therapy (PT) and occupational therapy (OT) evaluation codes (97001-97004) at the end of 2016, and replacing them with eight new codes (97161-97168) that are to be submitted for Part B therapy services (see here). This new article from CMS contains guidance to assist Part B therapy providers in properly submitting Part B therapy claims with the new PT and OT evaluation codes, beginning January 1, 2017, so that the claims are not Returned to Provider (RTP) as unprocessable. Specifically, the instructions describe how CMS is changing its claims processing policies and system edits to permit the new PT and OT evaluation codes to be aligned with existing policies that: 1) require therapy evaluation codes to be submitted with an associated discipline-specific modifier (GP for PT services and GO for OT services), and 2) require functional reporting G-codes and severity modifiers to be submitted when an evaluative service is furnished and billed. SNF therapy and billing staff are encouraged to review this document and the associated CMS Transmittal CR 9698. Compliance with the new coding requirements in 2017 is necessary or, as the article describes, the MAC will not process the claim and will Return to Provider (RTP) for correction. Please contact AHCA’s Associate Vice President, Therapy Advocacy at dciolek@ahca.org if there are questions. The application deadline for all three award levels is January 26th 2017. Applications and payments must be submitted using the online application and payment portals. Late applications will not be accepted for any reason. A successful application submission will immediately generate a confirmation email. The confirmation email is the only proof of submission that will be accepted after the deadline. If you do not receive a confirmation email, contact Quality Award staff. Submit only one application–only the first version of the application will be accepted. Exceptions will not be made for applicants who fail to submit their application by the deadline due to technical issues not related to AHCA/NCAL. Payments are also due by January 26th 2017 at 8 PM Eastern Standard Time. Payments are only accepted online via credit card. To make your application payment, please visit:http://webportal.ahca.org/Custom/QualityAwardApplication.aspx. The US Department of Health and Human Services, Office of Inspector General (OIG) has announced that it is revising its interpretation of “nominal value” for purposes of determining permissible gifts to Medicare beneficiaries. As of Dec. 7, 2016, OIG will interpret “nominal value” to be a retail value of no more than $15 per item or $75 in the aggregate per patient on an annual basis (as compared to the $10 per item or $50 in the aggregate per patient). Under the Social Security Act (SSA), section 1128A(a)(5), any person who offers or transfers to a Medicare or Medicaid beneficiary remuneration that the person knows or should know is likely to influence the beneficiary’s selection of a particular provider, practitioner or supplier of Medicare or Medicaid payable items or services may be liable for civil monetary penalties (CMPs) of up to $10,000, for each wrong act. For purposes of this section, the statute defines “remuneration” to include, without limitation, waivers of co payments and deductible amounts and transfers of items or services for free or for other than fair market value. However, Congress expressed its intent that inexpensive gifts of nominal value are permitted. Initially in 2000, OIG determined “inexpensive” or “nominal value” to mean a retail value of no more than $10 per item or $50 in the aggregate per patient on an annual basis, and noted that it would periodically review these limits and adjust them according to inflation. OIG is now adjusting those figures. To obtain more information go to https://oig.hhs.gov/fraud/docs/alertsandbulletins/OIG-Policy-Statement-Gifts-of-Nominal-Value.pdf. The Centers for Medicare & Medicaid Services CMS issued a Survey & Certification Memorandum on December 9, which clarifies no enforcement of the new rule prohibiting use of pre-dispute binding arbitration agreements in skilled nursing facilities, nursing facilities and dually-certified facilities from, while there is a court-ordered injunction in place, prohibiting enforcement of this provision. CMS will not enforce the new rule prohibiting using pre-dispute binding arbitration agreements while there is a court-ordered injunction in place. This year’s 2nd Annual AHCA/NCAL Quality Summit has something for all assisted living and skilled nursing/post-acute professionals. The three-day event will be held March 6-8, in Orlando, Florida just outside the Walt Disney World Resort. 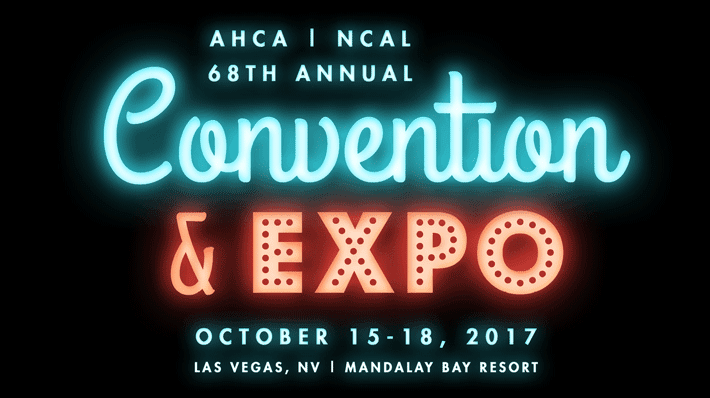 Registration is now open and AHCA/NCAL encourages you to register early. When you register you can also reserve your hotel (event registration is required before hotel reservations can be made). As part of our education programs, Provider magazine will curate a series of thought-provoking talks. Known as LED -- Lead, Engage, Discover -- they are aimed at bringing you topics and ideas that are evocative, inspirational, and sometimes unsettling. Don’t wait, register before the holidays and secure your spot now. Early registration ends February 3, 2017. 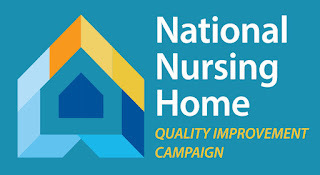 Same great resource … same website address https://nhqualitycampaign.org/default.aspx…just a new name and logo and is now being sponsored by Centers for Medicare & Medicaid Services (CMS). Every South Dakota nursing home had previously signed up as a member of the Advancing Excellence campaign … your membership continues just as before. If you cannot recall your facility’s username or password, click here for instructions to obtain; however, you are able to browse the site and access many of the tools without “officially” signing in. Check out who is enrolled nationally in the campaign state by state. Don’t know where to start in quality improvement tracking? Need to find a tracking tool? No need to reinvent the wheel! 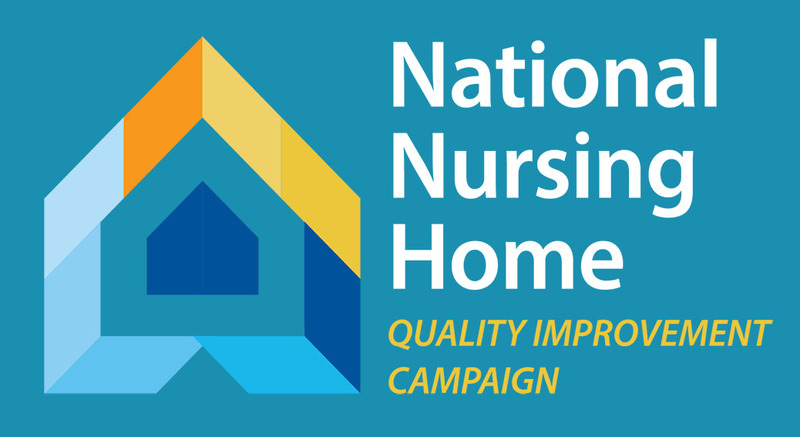 Explore the National Nursing Home Quality Improvement Campaign. NCAL is proud to release a new section of its website called Facts and Figures to assist providers, policymakers, stakeholders and consumers find the latest national data available on the assisted living profession. The website is organized into four different categories: communities, finance (including reimbursement), residents, and workforce. NCAL compiled statistics from multiple, credible data sources to offer the most pertinent information related to each category. 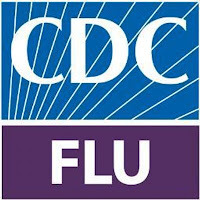 A consistent source of assisted living data was the Centers for Disease Control’s National Center for Health Statistics (NCHS). The agency conducts a survey on long term care settings, including residential care communities (aka assisted living), every two years. NCHS also offers state-level data on certain aspects of its survey. Other sources of information were Genworth, the Centers for Medicare and Medicaid Services, and the U.S. Bureau of Labor Statistics. The Facts and Figures section of the NCAL website can be found on the main navigation bar shown on any page within the website, or at www.ahcancal.org/ncal/facts. NCAL members looking for ways to collect and assess their own organization’s data can utilize LTC Trend Tracker. Assisted living members can upload, track and benchmark data on staff turnover and retention, customer satisfaction, hospital admissions and readmissions, off-label use of antipsychotic medications, and occupancy rates. LTC Trend Tracker is an exclusive member benefit – at no additional cost to AHCA/NCAL member providers. Nine million Americans will be more than 85 years old by 2030, and many will suffer from substantial disability and chronic conditions. Advanced illness care ensures that all individuals, regardless of age and demographics, receive coordinated care that addresses their specific and highly personal needs, preferences, values, and goals. National Quality Partners’ (NQP) new issue brief, Strategies for Change – A Collaborative Journey to Transform Advanced Illness Care, highlights six key preferences of person-centered care, provides snapshots of organizations that have embraced one or more of these key areas, and pinpoints opportunities to use measurement to transform advanced illness care. The brief was developed by NQP’s Advanced Illness Care Action Team and included AHCA quality experts. The issue brief aims to empower individuals with advanced illness, their family members, and caregivers to lead decisions about their care and to help physicians and other health care providers better navigate end-of-life conversations with their patients. Download the Publication to learn more. Join the American Assisted Living Nursing Association (AALNA) and National Center for Assisted Living (NCAL) for the quarterly Caring Together webinar on December 13 from 3:00pm to 4:00pm Eastern. The webinar, Love, Affection, and Sexuality in Assisted Living will be presented by AALNA Board Member and past NCAL Board Member, Deb Choma, RN. A major challenge facing Assisted Living communities is inappropriate sexual behavior among cognitively impaired residents and the impact on other residents, their families and staff. Learn about sexual issues with cognitively impaired residents; successful tactics for families and spouses; and positive outcomes achieved through family involvement. The presenter will discuss ways to work with families and staff to better support the needs of residents. Senior living professionals will acquire new strategies and techniques that can be immediately incorporated into their programs. Pre-register for the webinar here. Both Republicans and Democrats recently chose new Members of Congress to fill important committee leadership positions for the upcoming session. 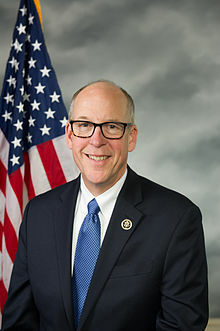 On the Energy and Commerce Committee, Fred Upton (R-Mich.) stepped down due to party-enforced term limits on chairmanships, leaving the way open for Greg Walden (R-Ore.). Walden did not have an uncontested path, however. He was challenged by John Shimkus (R-Ill.), who outranked Walden in seniority, but ended up not getting the top committee position. Many are focused on the Energy and Commerce in the next Congress, as the committee has jurisdiction over a large part of Medicaid policy. Sander Levin (D-Mich.) shocked some in Washington when he announced he would be stepping down from the top Democratic post on the Ways and Means Committee. This set up what many imagined would be a contentious race between the next most-senior Democrat on the committee, Richard Neal (D-Mass.) and member of Democratic Leadership Xavier Becerra (D-Calif.). The potential infighting, however, was quickly avoided when Becerra accepted an offer from California Governor Jerry Brown to serve as Attorney General of the state. The position is currently held by Kamala Harris, who just won a Senate election and will vacate the post in January. Neal will now serve as the Ranking Democrat on the committee with broad jurisdiction over tax and Medicare policy alongside Chairman Kevin Brady (R-Tex.). Practicing hand hygiene is a simple yet effective way to prevent infections. Cleaning your hands can prevent the spread of germs, including those that are resistant to antibiotics. On average, health care providers clean their hands less than half of the times they should. On any given day, about one in 25 hospital patients has at least one health care-associated infection. · Infection Control: Injection Safety — Learn about proper injection practices in health care facilities, including information on safe injection practices and single dose/single use versus multi-dose medications. There is no cost to participate in the study. Participants may purchase the results at the reduced price of $175, versus the $350 nonparticipant rate. Publication is scheduled for January 2017. The Report covers management salaries, nonmanagement wages, and fringe benefits. Last year’s Report contained data from over 1,200 Assisted Living Facilities across the nation. Salaries and bonus payments will be reported according to unit size, profit type, revenue size, CBSA, state, region, and nationally. In addition, both for-profit and not-for-profit data will be separately covered in the Report. Information on 18 fringe benefits will be reported according to region. Percent increases planned for 2016 will be reported for management, nonmanagement, RNs, LPNs, and CNAs. A video presentation is now available from CMS for the September 14 MLN Connects Webcast on SNF Quality Reporting Program. Learn about the reporting requirements for the new Skilled Nursing Facility (SNF) Quality Reporting Program (QRP), effective October 1, 2016. The Improving Medicare Post-Acute Care Transformation Act of 2014 (IMPACT Act) established the SNF QRP and requires the submission of standardized data. This video does not include the question and answer session that took place during the webcast. The audio recording and transcript are available on the CMS website. This year’s AHCA/NCAL Quality Summit keynote speakers will help you and your organization exceed in reaching top standards and excel in all areas of quality. Don’t miss them and more, March 6-8, 2017 in Orlando at the Walt Disney World Resort. Early registration for this event ends February 3, 2017. Craig Deao has been a member of the senior executive team for Studer Group since 2006. He is also a sought-after national expert and speaker on topics related to leadership, accountability, patient experience, quality and safety. In addition to his fulltime work with Studer Group, he has served as faculty for the Institute for Healthcare Improvement, the American College of Healthcare Executives, and dozens of healthcare systems across the US and Canada. For more than 30 years, clinical psychologist Wayne Sotile has studied high performers; how they think, cope, manage relationships, and stay resilient during changing times. In his clinical practice, he and his team have counseled more than 35,000 high performers, including more than 10,000 physicians and other health professionals. For more information about our keynote speakers, education sessions (including LED TALKS), and special networking opportunities, visit the Quality Summit website today. A federal district court in Texas has issued an injunction that halts the implementation of the new overtime rule, thus ensuring that employers nationwide do not have to make changes to comply with the rule by the original December 1, 2016, implementation deadline. If the injunction remains intact when President-elect Trump takes office, it may allow the new administration additional methods for modifying, amending or repealing the DOL’s overtime rule, even if further judicial action is not taken to ultimately overturn the regulations. See http://www.jdsupra.com/legalnews/federal-court-stops-december-1st-53060/ for more information about the injunction. TMF Health Quality Institute, a Centers for Medicare & Medicaid Services (CMS) contractor, has updated the maps that display the Program for Evaluating Payment Patterns Electronic Report (PEPPER) retrieval rate for PEPPERs accessed via the PEPPER Resources Portal for each state/territory. To view the PEPPER map go to https://www.pepperresources.org/Training-Resources/Skilled-Nursing-Facilities/PEPPER-Portal-Retrieval-Map. 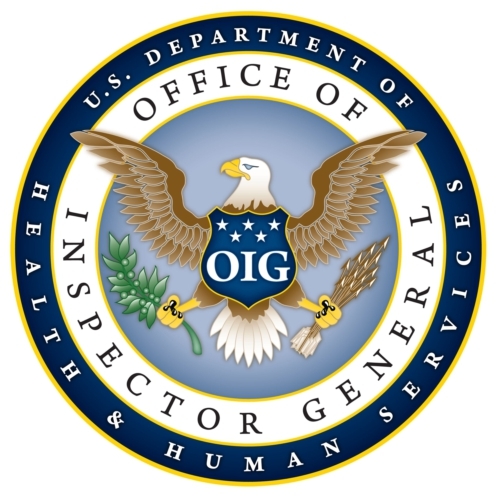 The US Department of Health and Human Services (HHS), Office of Inspector General (OIG) has released its Semiannual Report to Congress, which describes the agency’s work identifying significant problems, abuses, deficiencies, remedies and investigative outcomes relating to the administration of HHS programs and operations that were disclosed between April 1, 2016 to September 30, 2016. For FY 2016, OIG reports expected recoveries of more than $5.66 billion, consisting of nearly $1.2 billion in audit receivables and about $4.46 billion in investigative receivables. OIG also reports 844 criminal actions and 708 civil actions (including false claims and unjust-enrichment lawsuits filed in federal district court, civil money penalty (CMP) settlements and administrative recoveries related to provider self-disclosure matters). Lastly, OIG reports exclusions of 3,635 individuals and entities from participating in federal health care programs. The AHCA/NCAL Long Term Care Career Center, is designed to help members fill their health care job vacancies. Employers interested in using the career center can now see how easy it is to create an account by viewing this new employer resource that offers an inside view of the AHCA/NCAL Long Term Care Career Center site. Of course, the LTC Career Center is always free for job seekers. And, job seekers are using the site! Job postings on the AHCA/NCAL Long Term Care Career Center, average more than 1,500 views a month. Be smart and targeted in your search for qualified and talented health care professionals in 2017. Check out the LTC Career Center today and remember to enter promo code New25off to save 25% on your first job posting.